Here's something great big and beautiful. Too big for the store, but you have just the perfect spot, we're sure! 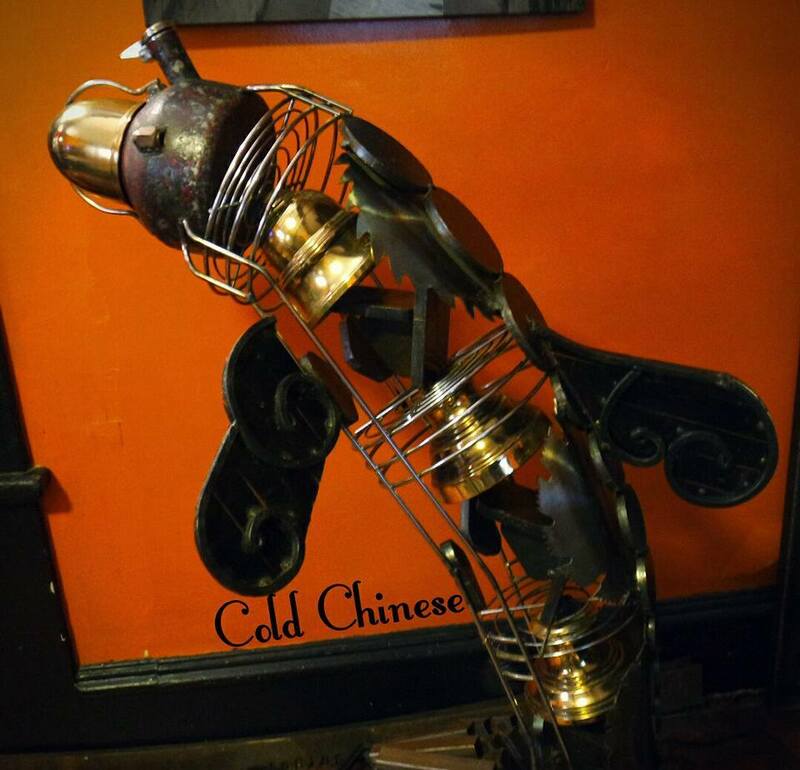 From Cold Chinese, on sale now for $500 is this Dolphin. He measures approximately 4 feet tall and is about 34" square at the base. The base removes for easier transport. 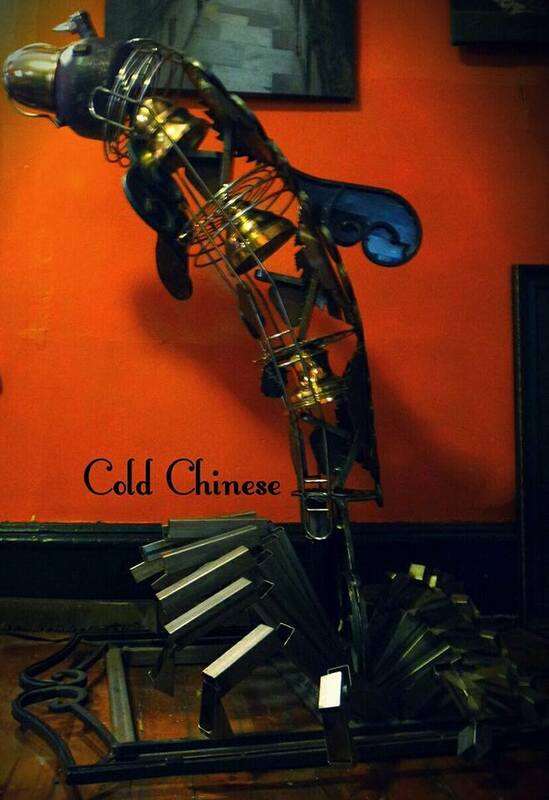 May be picked up locally (Altoona, PA) or shipped (extra charge based on destination). You may purchase the Dolphin at https://squareup.com/store/lavintage-decor and leave comment for shipping or pickup. Contact LaVintage Decor at 8149348928 with questions. Items not in the studio, but for sale. Here, paintings of Altoona artist, Robert Hunt. Robert Hunt, the artist, spent most of his life in Altoona, Pennsylvania. He is one of the foremost railroad artists in the United States; his work hanging in the White House and a part of many private collections across the country. He is a realist painter whose works include Woodland Indians of Colonial America, the American Civil War, and early American explorers and woodsmen, as well as his extensive railroad collection. Texas and Pacific E6 diesel locomotives fueling up while waiting the call to service under hot summer evening skies, Dallas, Texas. Oil on canvas 18x27 inches. 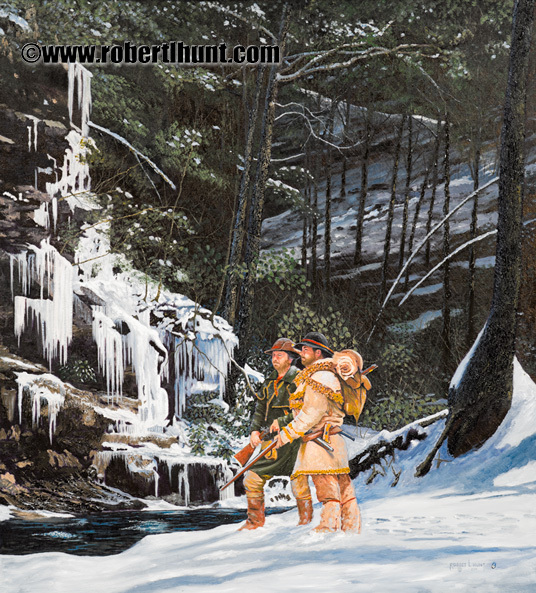 Early Indian traders John Hart and Stephen Franks exploring and trailblazing the Pennsylvania winter wilderness at Trough Creek near present day Raystown Dam and Entriken, PA. Oil on canvas, 30" x 27". An Atlantic Coast Line F7 diesel with faded purple paint in an engine servicing area during the sixties on a Georgia summer day. Baldwin Shark locomotives on the service track in the East Altoona, Pennsylvania complex circa 1950's. The Baldwin Sharknose design, can not be mistaken with any other diesel model. A must for PRR lovers. Oil on canvas, 17x30. Trolley going past Ebbets Field just after a summer rain, circa 1950 in Brooklyn, New York City. Located in Brooklyn, Ebbets is remembered as one of the most nostalgic stadiums ever built. Oil on canvas, 16" x 24". Trolley moving down Broadway in New York City, the old TARS (Third Avenue Railway System) light rail public transportation system circa 1940. TARS was founded in 1852, and served the New York City boroughs of Manhattan and the Bronx along with lower Westchester County. Third Avenue Railway was purchased by New York City Omnibus Corporation in 1956, and transferred the remaining transit operating franchises to subsidiary Surface Transportation, Inc. Oil on canvas, 14" x 21". Circle, street car public transportation in New York City at the turn of the century, circa 1908. The area is a traffic circle and one of the most heavily traveled intersections in Manhattan. Named after Christopher Columbus it is the point from which all official distances from New York City are measured. Oil on canvas, 32" x 37".